The S-RBx recumbent bikes are prewired for the S Series PVS entertainment system, and utilize dual-platform pedals with inline skate-style straps for secure hold or strap-free platform workouts. Intuitive wrap-around seat adjustment offer easy seat-position changes. Armrests alleviate tension in the user's shoulders, and adjustable personal fans ensure comfort. The Star Trac S-RBx Recumbent Bike boast a modern iconic design creating the industry's most comfortable back rest, heart rate bar and adjustable reading station to invite members to try it and keep them on it! If you want the best looking and best feeling bike that sets your cardio floor apart from the rest, then Star Trac S-RBx Recumbent Bike is the clear choice. 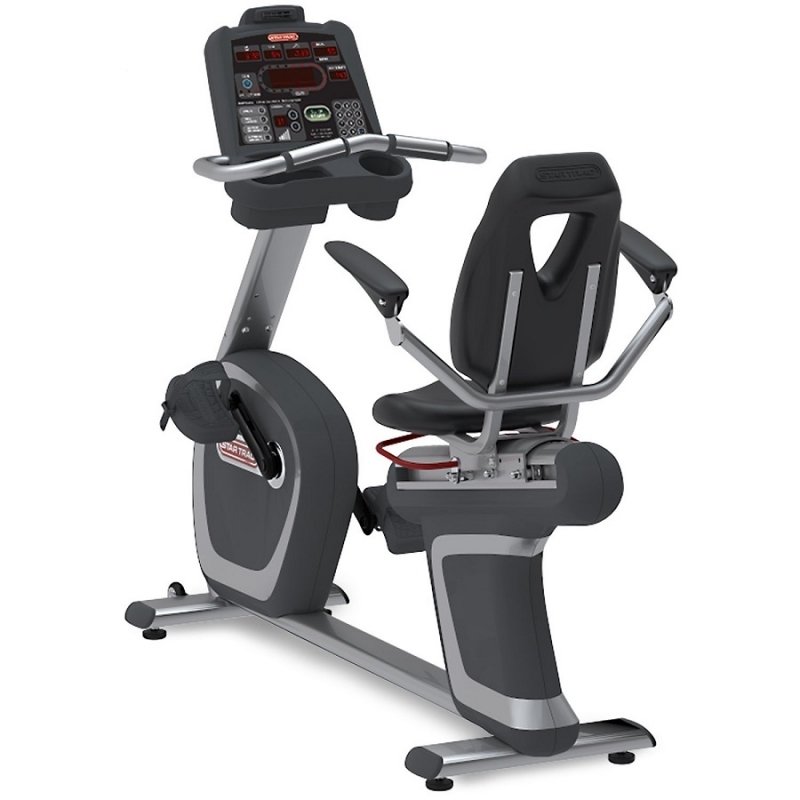 Order your Star Trac S-RBx Recumbent Bike from FitnessZone.com today!